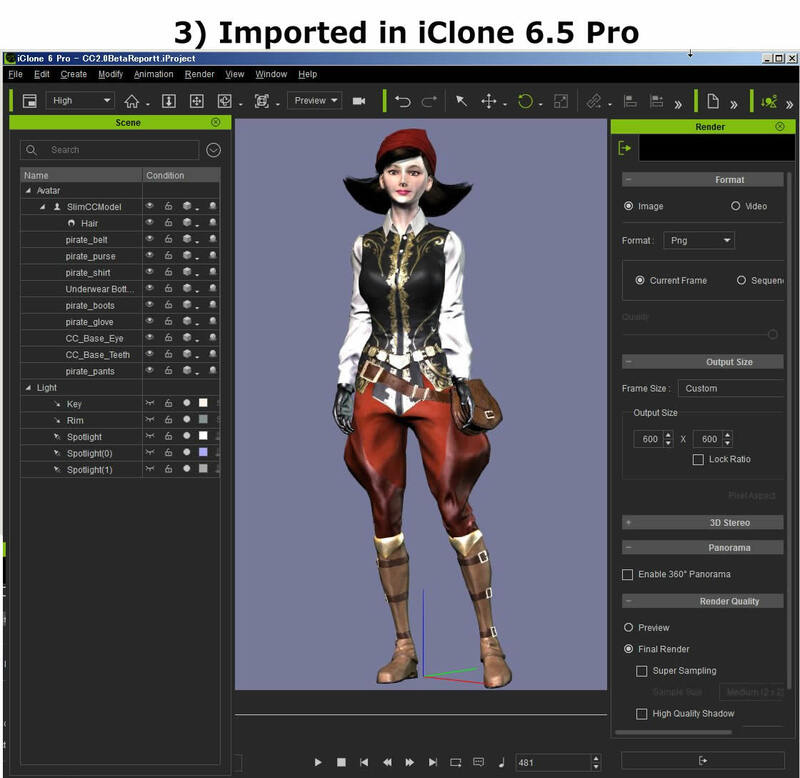 Character Creator 2.0 is compatible with both iClone 6.5/CC 1.5 and iClone 7. 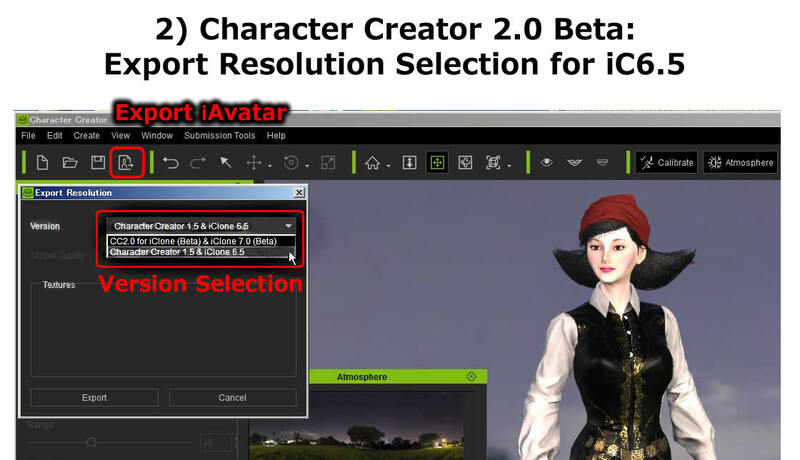 When exporting iAvatar in Character Creator 2.0, there is an option to select which version of iAvatar will be exported. Use the Version pulldown menu to select the desired type. 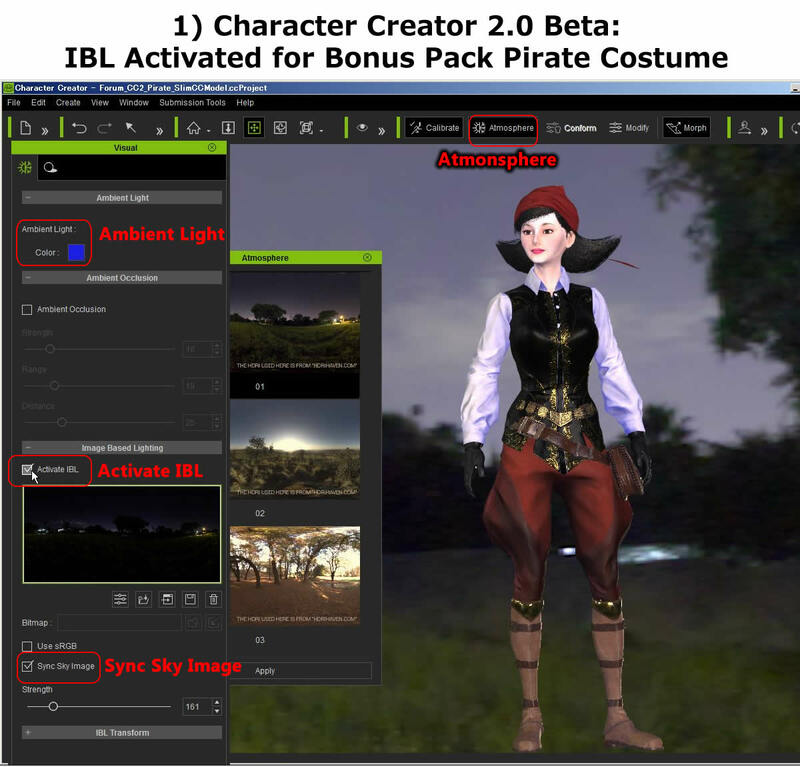 Character Creator 1.5 & iClone 6.5 version does not support PBR, so PBR information will not be included in the export file. Items 1,2,3,4: iClone 6.5 will revert to original settings. 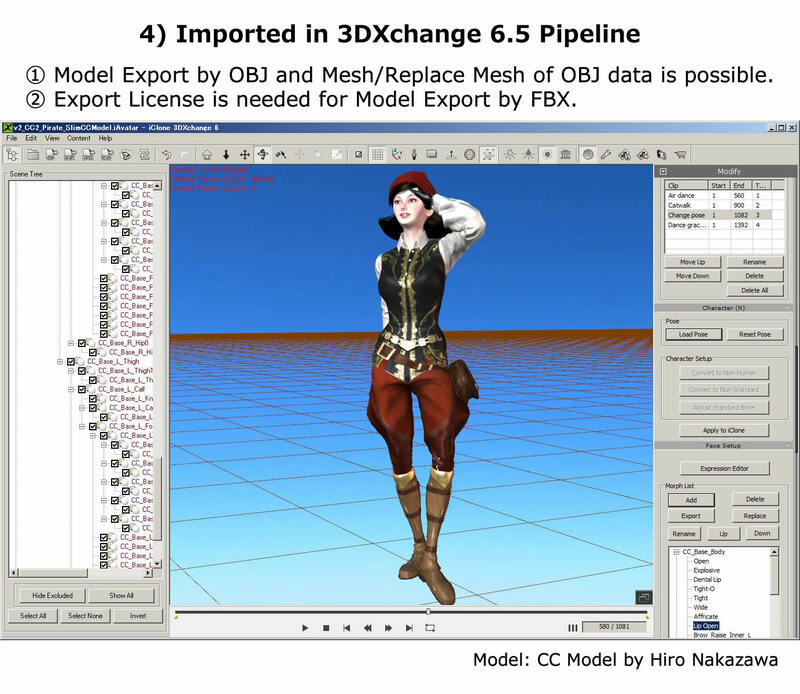 Item 5: Default pose will revert to iClone 6.5 settings but Persona needs to use 3DX PRO or Pipeline version to continue usage. Thank you very much for the opportunity to perticipate the open beta test. 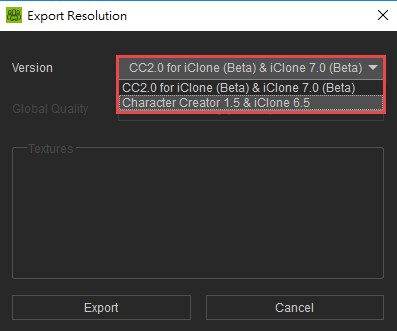 Here I made a short overview of Export Resolution selection of CC2.0 Beta with Bonus Pack Pirate Costume for iClone 6.5 Pro & 3DX change 6.5 Pipeline.